Software defects are common and cause economic losses from time to time. Today, software organizations invest more time and resources in analyzing and testing software as a unit rather than as independent entities. However, there can be circumstances where the process can become tedious, time-consuming and error-prone when in reality, the tests could have been performed successfully much faster. Below are six smart techniques that you can use for software automation testing. Nowadays, most automation tools come equipped with Record & Play functionality i.e. the ability to record automatically certain actions and then play them back just by clicking on the Play button. Though Record & Play can look very appealing in advertising presentations and videos, the reality is that such scripts only complicate the process when you actually work with them. A recorded script does not use variables, loops and conditions. Automatic names of created procedures and functions are not usually informative and all actions are recorded in a single function (which can be huge). Many times, recorded lines of code are extremely long and do not fit on the screen. This can tremendously complicate the software automation process and make it tremendously inefficient. This is not to say that Record and Play are totally worthless. It can be useful too, but only in certain circumstances, such as studying a new automation tool or when one has a single task for which no script will be needed later. In other cases, it is much better to use a framework that will help one create tests quickly and more proficiently than recording them automatically. Debugging is considered to be a step-by-step execution of a program with the objective of detecting errors in it. Beginners usually skip learning debugging and therefore simply don’t know that it is even possible. Nevertheless, the basics of debugging can be studied in an hour and the benefits of using it are huge. You can utilize any programming tutorial to know the basics of debugging or use debugging features in the help system of your development environment. Formulas for calculations may change later. In such cases, you will see an error in the report, though the application works correctly. When working with floating-point numbers, the precision of calculations may vary in the language that you utilize for tests and in the language in which the application under test is written. Hence, a more favourable approach is to calculate the correct result manually and save it in the script as expected. If a single calculation does the purpose, write its result directly in the script. If more calculations are required, you can also use arrays or the DDT-approach. Tests are usually written in simplified programming, which is necessary in order to simplify testing. Making a complex framework is, of course, possible, but in most cases, it is not considered necessary. The same is also applicable for other areas that programmers come across more often, including working with databases, regular expressions, using internal application methods and so on. Hence, usually, programmers are more skilled and can provide worthy advice in cases when you need to develop more complex testing solutions. Testers can always go to programmers for advice. In case of need, programmers have the ability to create and maintain tests. API testing is critically simplified. It is needless to say that choosing the same language for tests as for the product being developed should not be considered as a thumb rule. It is very unusual for programmers to ever look into the test code, so tests can be written in whatever language the tester is convenient in. Modern development environments make possible some great capabilities which many auto-testers fail to utilize. For instance, often people use the mouse to select the menu item ‘Edit | Comment Block’ or comment several lines one by one, without even considering the possibility of pressing a simple key combination and commenting the entire selected block. In several other cases, though the functionality is also present in the editor, its use may not be entirely noticeable. 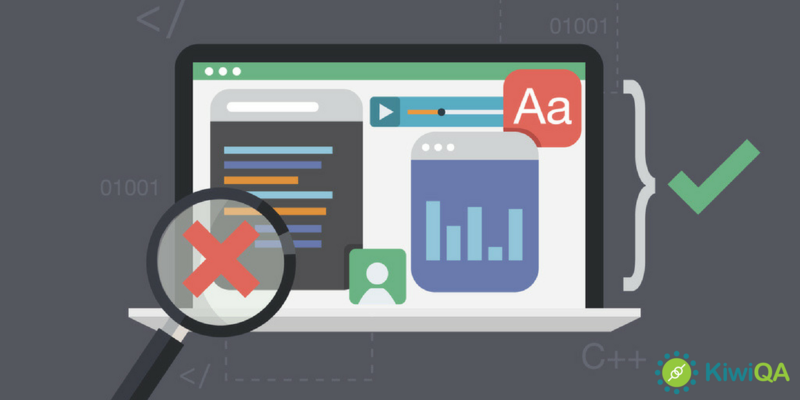 Editors could, in fact, provide more advanced features, such as setting up different types of editor for normal mode and debugging mode, the connection of additional plug-ins, automatic code refactoring and much more. Therefore, you should primarily learn the tool you work with and experiment with everything you can find in it. Secondly, try finding a solution in case you miss anything- firstly in the built-in help system and then on the Internet. It is highly probable that what you need is simply called differently, and you just do not know about it. Hence, software automation testing could be much easier than you can imagine if you follow the above techniques. Connect with KiwiQA to leverage focused capability for Automation Testing services.